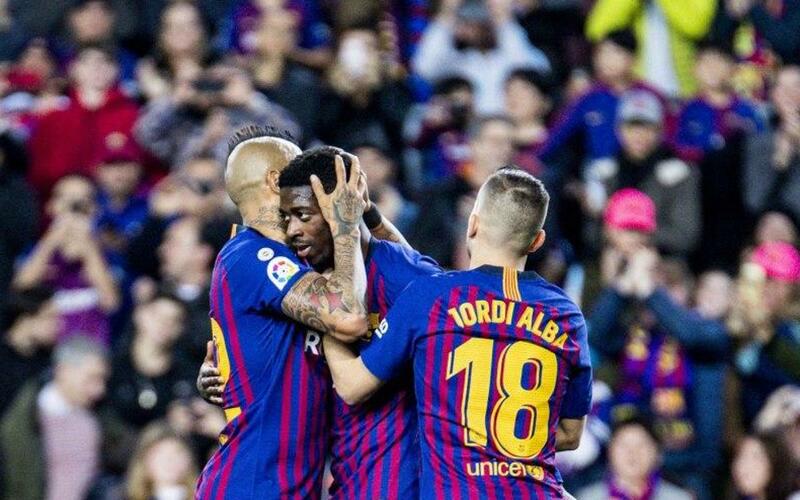 Ousmane Dembélé has ended the year as he started the season: scoring goals and being decisive. It was his wonder-goal against Sevilla that went such a huge way towards clinching the Spanish Super Cup and he also played a crucial role in the 2-0 defeat of Celta to ensure a Christmas on top of the table. He’s now scored ten goals this season, putting him well on course to beat his personal best of 12 scored in 2015/16 at Rennes – and he’s provided five assists as well! With a goal every 145 minutes, he’s the second most frequent scorer in the Barça squad, topped only by Lionel Messi’s staggering return of a goal every 77 minutes. Dembélé has left some wonderful memories in these opening months of the campaign, including two particularly splendid strikes against PSV and Tottenham in the Champions League.